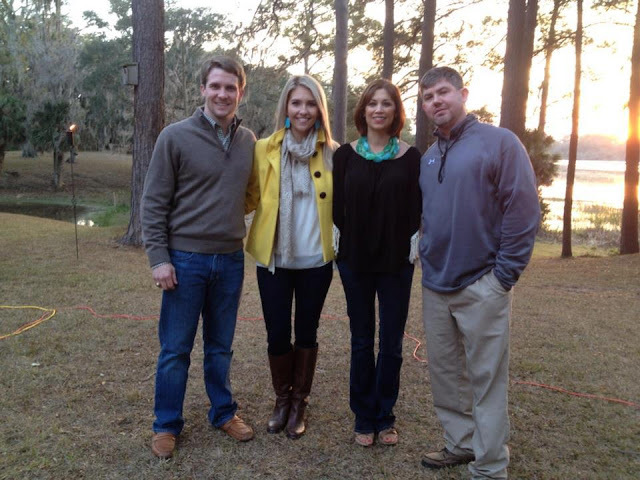 Brandon’s cousins hosted a couples shower oyster roast for us this past weekend. The weather, food, and amount of guests were all perfect. It was lawn and garden themed, so let’s just say that Brandon was in Heaven. 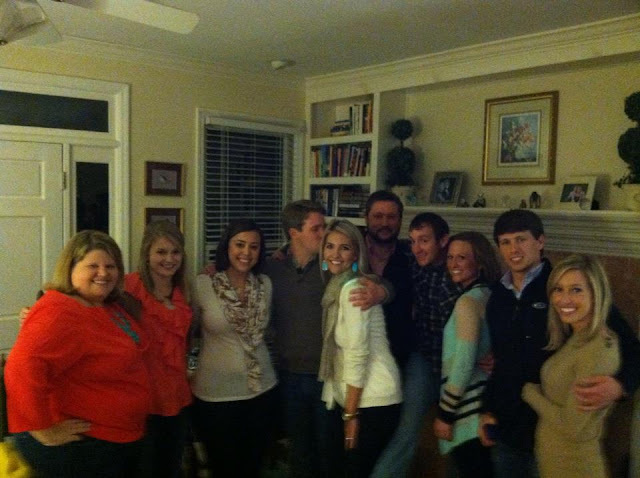 Us with Brandon’s cousin, Will, and his wife, Shelly. …with some of our guests after opening gifts inside. Wedding in 45 days …Key West in 7! Ah looks like you had a great time.. That cake is adorable and love your yellow jacket!! It's getting so much closer you and Brandon must be so excited!!! Love your yellow jacket and boots!! Where are they from?? That cake could not be any cuter! 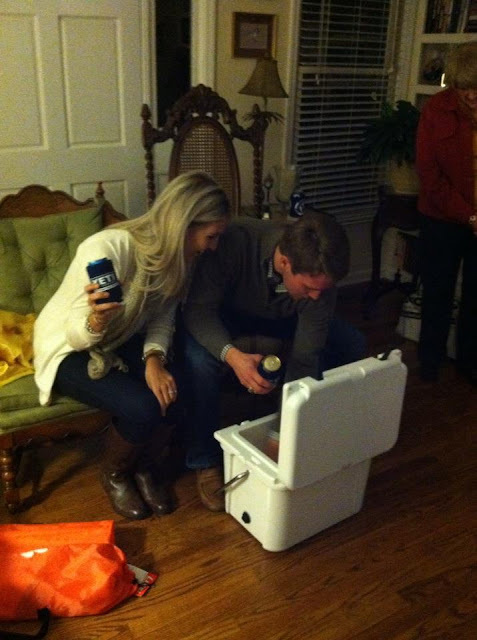 We also had a couples shower oyster roast — such a great idea! you look gorgeous! yellow is def one of ur colors 🙂 thanks for sharing looks like u had a fun weekend! I love couple showers It is such a great way to celebrate together! How cute is that Oyster cake!! I have been following your blog for a while now, and just wanted to say Congratulations! Your wedding updates have really helped me in planning my own wedding, coming up on April 20th – so thank you!! Hope you are enjoying every minute! You look beautiful! YAYAY! That sunset is gorgeous! And that cake is adorable! looks like such a fun shower! that cake is so pretty! Looks like such a fun shower! Love the Yeti and the cake. 🙂 Can't wait to see your invitations! It looks like your weather was just as nice as ours! I am glad you had such a lovely weekend for your shower! Your wedding is sooo close! So exciting!